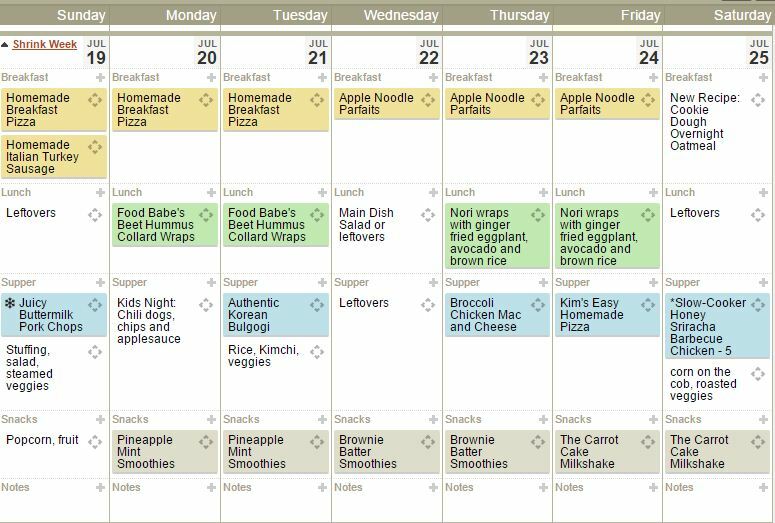 Last week I didn’t get a chance to make most of the snacks, so I’m going with familiar snack recipes (smoothies) this week and trying some new lunch recipes. 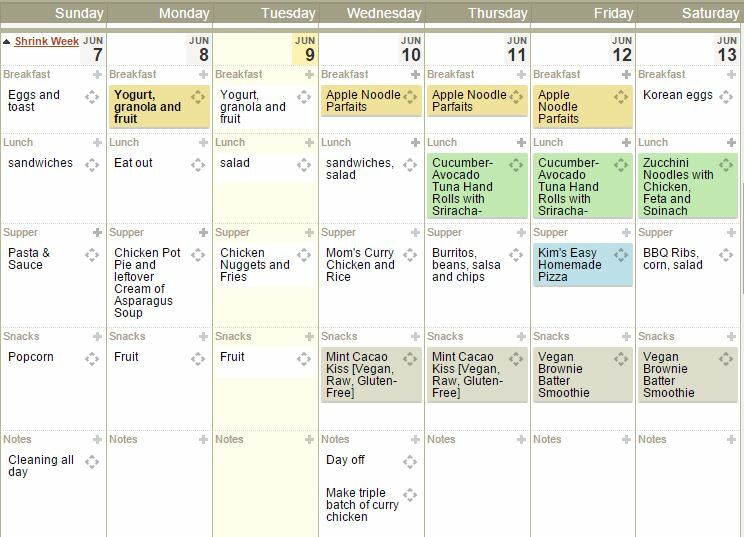 I kept most of the dinners in familiar territory, because the pace of things lately has been very hectic at work, plus trying to work on Frugal Moms² and Frugal Foodie Moms after the kids go to bed. 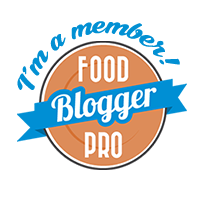 I launched Frugal Foodie Moms about a week ago, with a focus completely on food. 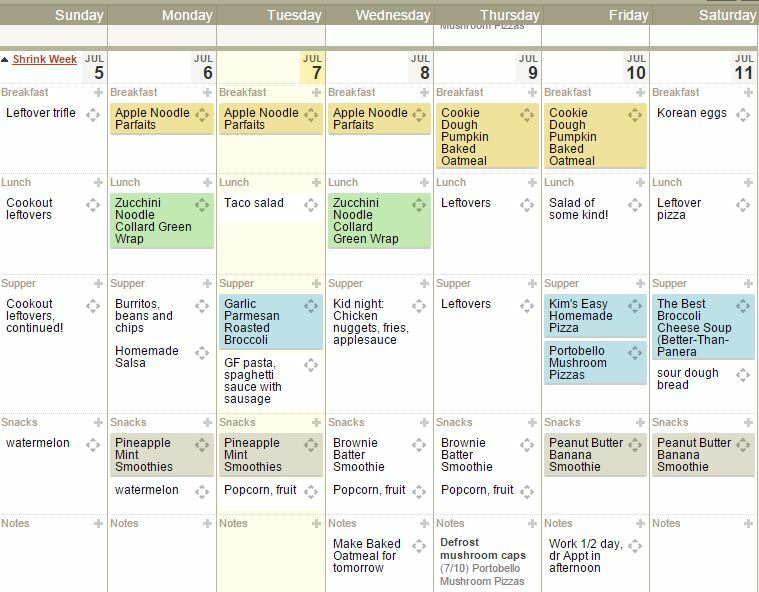 Frugal Moms² will focus more on the nuts and bolts of frugal living, but I’ll keep the recipes up that are already here. I just feel like I’m drowning people in them! You feedback is welcome. 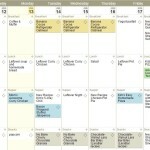 I love to hear from you all about what you’d like to see on both sites. Just comment below or use the form on the Contact Us page to send your ideas, questions and suggestions. Anyhow, on to the recipes! There were a few good clearance and sale deals out there this week. One pound blocks of cheese are frequently on sale at Kroger for $2.49. This time I picked up mild cheddar, sharp cheddar and colby jack. I found organic bananas on clearance at Kroger, so I picked up 11 pounds of them. When I got home, I peeled them and put them in gallon sized freezer bags. Into the freezer they went for smoothies and baking. Kroger has their own brand of stevia and the prices are really good, even compared to Aldi. I picked up a large bag for baking for about $5 (as compared to nearly $8 for stevia in the Raw) and an 80 ct of packets that was cheaper than two of Aldi’s 40 ct boxes. No taste difference and no aftertaste like some brands have. A win for me! 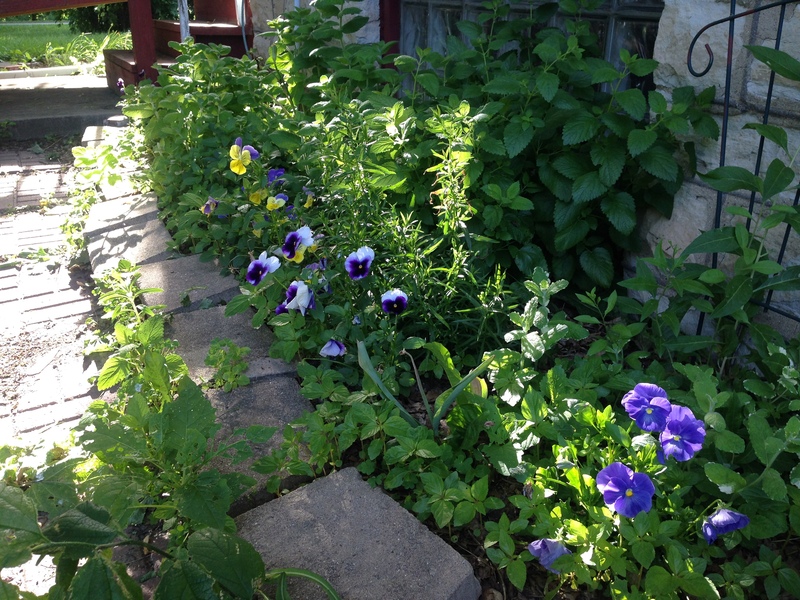 I go through the stevia pretty regularly (and I grow it too). It keeps me out of trouble! 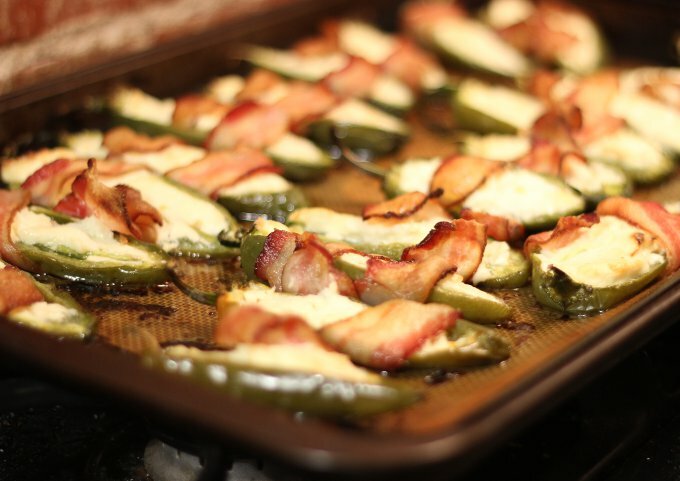 Jalapenos were on sale for .99/lb so I bought a bunch and made Bacon Wrapped Stuffed Jalapenos. Delicious! Click here to see the recipe! 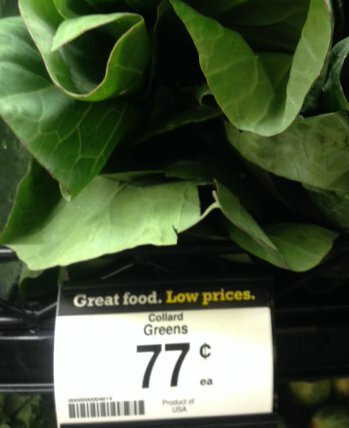 Collard greens were on sale for .77 a bunch. I really need to start growing them, because they make FANTASTIC wraps! 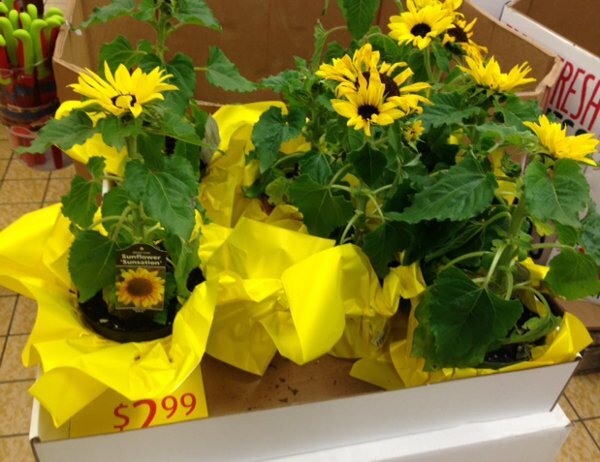 At Aldi, they had these cute sunflowers for 2.99. I resisted. Really, you can get a huge pack of seeds for that much and if you’re patient, have a yard full of sunflowers for $2.99. Good marketing though! Aldi also had some instant refried beans. I’ve never seen these before. Now, I’m pretty lazy when it comes to beans. I have tons of dried beans for emergencies and still buy canned beans by the boatload. But I think the dried instant beans is a little too much. Does anyone use these? What do you use them for? Thickening soups, maybe? I have a dehydrator. 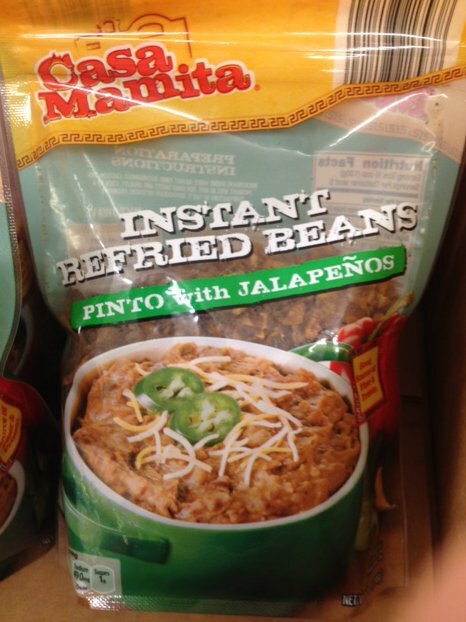 I could probably make my own instant refried beans, but I’m not sure I want to. Just sayin’! They also had buns and bread on clearance, so I picked up a few loaves, which went into the freezer for later. 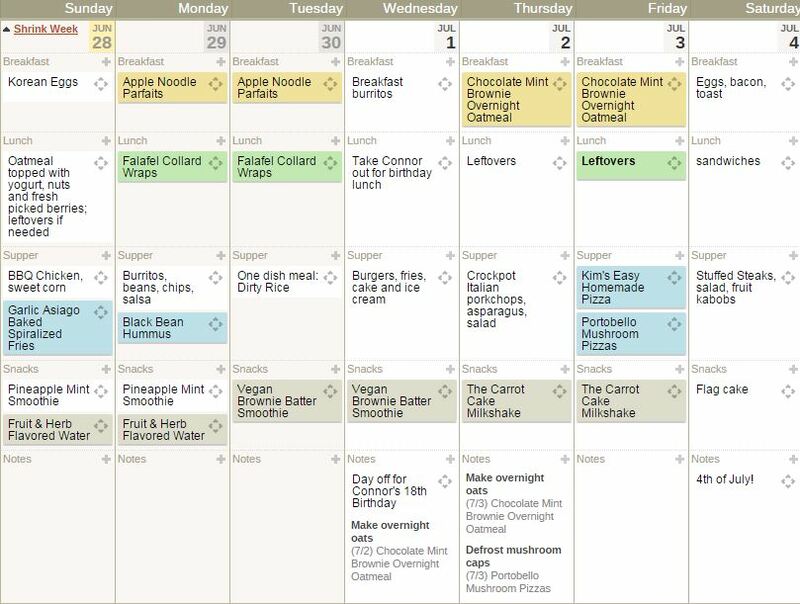 What does your meal plan look like this week? 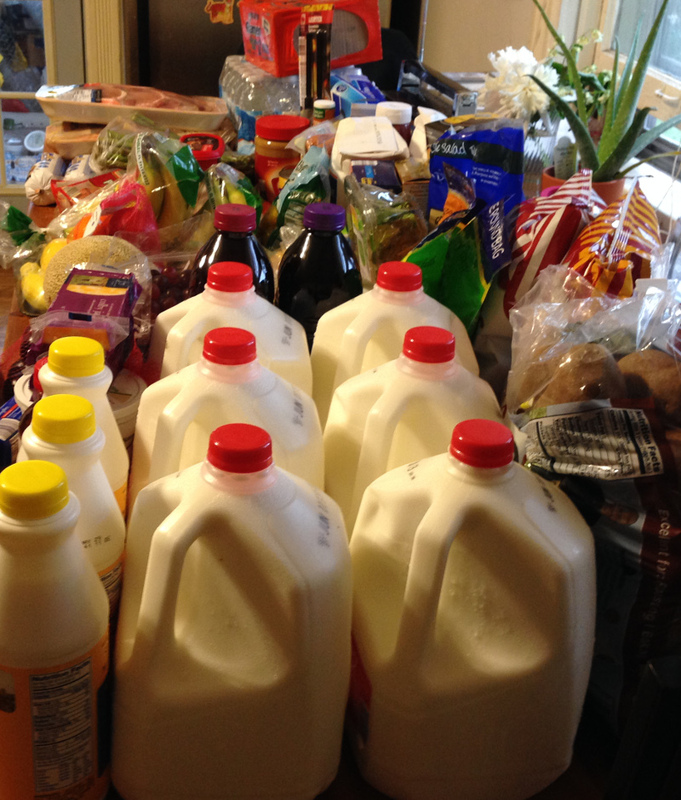 How are you doing on your grocery budget? Let us know in the comments below!